iXS set to present the 2018 MXGP of Switzerland. 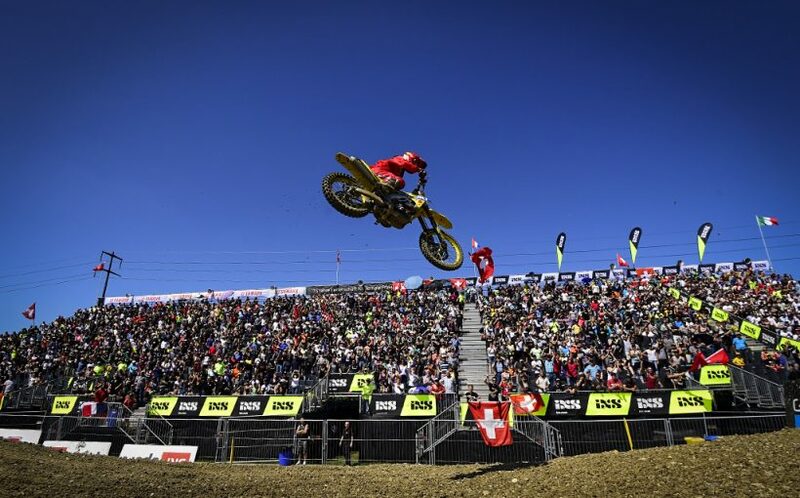 Youthstream is proud to announce that for the 3rd year in a row the MXGP of Switzerland will be presented by iXS. The 16th round of the 2018 season is confirmed to take place the 19th of August at the same venue as the previous two years, the Schweizer Zucker track near Frauenfeld-Gachnang. The event has been one of the best of the past seasons and host incredible viewing for fans with a massive grand stand section. iXS is a Swiss company that manufactures motorcycle gear, protective gear and sportswear for all forms of motorcycling and bicycling. The brand is part of the internationally active Hostettler Group and started out as a simple bicycle and motorcycle workshop in Wolhusen, Luzerne. The Swiss family owned company started in 1906 and since has grown into a diverse company with the iXS motorcycle gear brand added in 1979. ”Designed and born in Switzerland” iXS is also the proud gear sponsor of Swiss native and Wilvo Yamaha MXGP Official Team’s Jeremy Seewer along with his Teammates Shaun Simpson and another Swiss rider, Arnaud Tonus who had a standout performance at the event last year. Youthstream is proud to continue its partnership with the Swiss company and looks forward to returning to the Schweizer Zucker track in Frauenfeld-Gachnang for the 2018 MXGP of Switzerland presented by iXS. Tickets can be purchased by clicking HERE or to experience the MXGP VIP life click HERE and order VIP GOLD SKYBOX packages!